With the need for education and skilled training rising day by day, colleges are offering various courses but at a hefty price. It is practically not possible for all students to get scholarships and merits. The needs and career interests of many a student would remain unfulfilled if grants were not available. Cosmetology is one such field that has surpassed its commercial expectations. The need of the day is an ultra-competitive arts-styled ambiance wherein the hairstylists and makeup professionals of next generation study in co-op style education. The small town style beauty salons may remain a mainstay on the streets of U.S.A. with its half-baked beauty school trainee experimentation. But the career oriented students of today are aiming for a training caliber that can prepare them for exciting careers and elite positions in film and fashion industry. With only a selected few making their mark in these industries, the others still cater to the general public and are driving careers and salaries to a professional level. 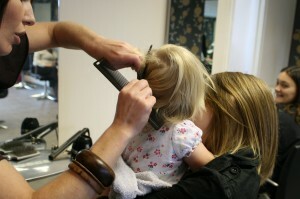 The demand for these high quality stylists is continuously increasing in the general market category. What are Cosmetology School grants? A cosmetology school grant or scholarship can be considered a financial “gift” which the student can use to study in cosmetology school. These grants are called as gifts or scholarships as they don’t have to be paid back. The funds are generally directed to the school and any amount remaining after paying for the course fees is given to the student. Studying cosmetology in prestigious schools, or even the regular reputable schools for that matter, will surely not come cheap. A regular course in cosmetology will cost anywhere between $6500 and $10000. The courses include hair-dressing skills like cutting, perming, coloring, styling and roller setting as well as make-up techniques. Students opting for cosmetology course, while still in high school or college, should discuss with their school’s adviser/counselor on the financial help they can get. The counselors have a general list of grants and it would be more helpful to ask them for grants specific to beauty schools. If you have enrolled in any cosmetology school, they would also have counselors who can help. Most grant applications can be completed online and the process is quite simple. Federal financial aid can also be availed of in the form of loans; however these loans need to be repaid while grants are normally gifts and need not be repaid. The guidelines for cosmetology courses and the accreditation for schools is regulated by states and for the financial aid to be availed the schools should meet state-specific licensing requirements. The NACCAS – National Accrediting Commission of Cosmetology Arts & Science monitors the accredited schools. Not all states insist on high-school diploma for students aspiring for a career in cosmetology, some states also accept GED equivalent. Some cosmetology schools insist on admission test before enrolling. The cosmetology program also varies in different schools spanning anywhere from a few months to 2 years depending on the specialization of the study. Cosmetology school grants and scholarships are most often awarded on the basis of needs and disadvantaged backgrounds. Some grants are awarded on the basis of merits. Talent also plays a very big role and the grades and potential of the student can get them a free or discounted ride in reputed cosmetology schools. Your past grades in high school and college definitely do matter. Getting good grades in school and college increases you chances of winning the grant and scholarship. Larger technical schools will have an edge in awarding these grants while compared to specialized schools. How to apply for cosmetology grants? While the financial assistance in traditional colleges and universities is quite marked and easy to approach, the same cannot be said about cosmetology schools. Traditional colleges have educational speakers, high-school counselors and other resources at their disposal, students aspiring for career in cosmetology will have to carve their own way out. The first step is to find a cosmetology school that suits your requirements and enquire if they have their own scholarship program or participate in a state-based, federal or corporate supported grant program. Apply for the grant or scholarship through interactive forms and forward the same through the participating program administrator. Most schools and aid programs accept online applications through their specific web-sites. Cosmetology grants based on merit: The applicant should be able to demonstrate talent and skills in artistic make-up, hair design and other abilities to win these grants. Cosmetology grants based on need: The applicant should be interested in following a career in cosmetology but is restrained by financial circumstances. These grants may cover all or part of the tuition fees and provide extra to cover living costs. Cosmetology grants based on sociology: the main aspect for obtaining this grant is to fulfill qualifying requirements like religion, race, national origin etc. applicants are filtered based on ethnicity and the final recipient gets due consideration based on other additional factors. Institutional Cosmetology grants: These grants are school specific and the applicant should study in the same school or college to get the requisite grant. General Cosmetology grants: This covers the other scholarship programs provided by salons or corporate, beauty schools and specific websites. Where to apply for Cosmetology grants? Since most cosmetology programs may be booked you may have a waiting period especially if you are seeking grant subsidies. Multiple scholarships of $1000 is awarded to students from different cosmetology schools who are members of the AACS. The scholarship is limited to one recipient from each school and is chosen by a selection committee comprising of Sport Clips Area Developers, SCI Support and Team Leaders. The deadline to receive this application is January 31st of each year and the applications can be submitted online too. This is provided for post-graduate students who want to advance their career as makeup artists. The course spans a period of 6 weeks and is designed to prepare the students for a career in high fashion, Haute Couture, commercial photography and Avant-Garde makeup. Under the scholarship program, six grants of $1100 each is awarded to eligible post graduate students doing their Master Makeup course of 6 weeks. Another scholarship of $1300 is also awarded to six students doing their course in makeup for motion pictures, television, characters and effects the duration of which is 12 weeks. Six grants of $500 each is awarded through the Schaeffer Family foundation to students selected through essay writing and 1 industry recommendation. Scholarships of $1000 each is awarded to 3 students from participating cosmetology schools. Aimed at meeting the tuition and education fees, the scholarship amount is paid in favor of the school on the selected student’s behalf. AHBAI stands for American Health and Beauty Aids Institute and issues scholarships under the Fred Luster Sr. Education Foundation This is a Chicago based foundation. The College has high-quality programs in cosmetology with on-campus residence. The grants are awarded regularly and can be applied for through their online process. Residents of Oregon State can benefit vastly from this state-specific grant. Grants of $600 are awarded to students who are enrolled in approved cosmetology programs for education and training for a minimum period of 9 months. Also offers various grant based programs based on the individual students’ past academic record and financial status. The college has some really competitive programs in cosmetology including part-time and full-time programs. Full time cosmetology programs here need almost a year for completion. This is available for students studying in California’s Cerritos College. Eligible students get an award of $400. This available to students studying cosmetology in Highland Community College of Illinois. Eligibility is based on the student’s financial condition and academic performance. Sponsored by the popular beauty store chain Sally Stores in partnership with National Cosmetology Association. Grants of $1000 are offered in scholarships each year to 10 students in 3 different categories. 5 scholarships of $1000 each is awarded to High school graduates (below 26 years), 3 grants of $1000 each for NCA members and the 3rd is for the children / grandchildren of NCA members seeking advanced education in cosmetology. A scholarship of $1000 is awarded to esthetician students four times a year. The application can be submitted online along with an essay describing the applicant’s interest in cosmetology and financial need. The criteria for winning the scholarship are enrollment in esthetician only training program, 80% attendance and 80% grade average. The deadline for submitting the application for each quarter is March 1st, June 1st, September 1st and December 1st. This is given to five students studying for their massage therapy license to the tune of $1000 each. There are institutes that give a skin-deep value to cosmetology and teach their students the chemistry and biology of skin and hair care. These institutes too provide grants that are supported by corporate giants. A classical example of this is the Cosmetology program at Southern Westchester. Toyota International has granted a huge sum to this school to put up a technologically updated laboratory. This lab which was installed with a investment of $10000 helps students study the art of cosmetology at a very scientific level with the skin types being studied at microscopic levels and research supported by experiments in chemistry. Students studying at this school can avail grants and discounts from Toyota to complete their courses. One other option to finance your cosmetology education is federal financing. There are various types of federal financing available through accredited cosmetology schools. Pell Grant can be used as a foundation for financial assistance and supplemented by other sources. Under this grant money is paid out annually, the amount disbursed is based on various aspects of the student’s education including financial situation. Amounts sanctioned under Pell Grants need not be repaid. Sanctioning of this grant is based solely on availability of funds and the winning students don’t need to repay the grant. Funds are distributed by the Department of Education to schools participating in the above program and students can apply for the same through their respective schools. To be eligible for this grant, the students should have extreme financial need and other monetary assistance the student receives will also be considered. This was earlier issued as Guaranteed Student Loan. This is a low interest loan that students can avail through external lending institutions and agencies with a guaranteed repayment by the government. Stafford Loans come in two forms – subsidized and unsubsidized. Under the subsidized scheme, the interest on the loan availed is paid by the government while the student is still in school and for 6 months after course completion. This is an alternative loan and aims at helping parents provide for the educational expense of their children. This fund is aimed at helping parents secure themselves against borrowing on their assets and properties. People who have been in the military can avail their G.I. 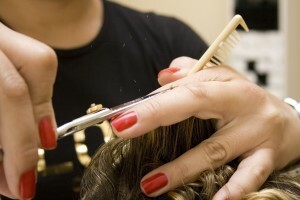 Bill to fund their cosmetology education. This bill is designed to meet the expenses of vocational and education training. However these grants are school and state specific and cannot be availed at all places. What you do need to be careful is about the grant you are applying for. Some grants need to be paid back immediately (after the completion of your course) while some are given as gifts and don’t need to be repaid. Apart from grants and scholarships, the cosmetology industry is also brimming with sponsorships, contests and similar financial-aid opportunities mostly supported by corporate companies that can be availed of with proper planning, research and timely application. The other thing you will need to remember is these grants and scholarships, as many as you win, will still not be able to pay off all the expenses of your tuition fees, food and lodging expenses. After due consideration of the amounts you have won through grants, you may need to apply for loans from other sources. Your school counselor will be able to help you in this regard and guide you to low interest loans with flexible repayment terms. Some good examples of these are loans from Salle Mae and the Student Loan option from Citibank Student Loan Division. These lending institutions give a grace period of up to six months after completion to start the loan repayment program. However these loans should only be a last option after all the grants and federal loan options have been exhausted. After due completion of a course in cosmetology, there are various places the student can be employed in. The most lucrative field for cosmetologists is undoubtedly the fashion and film industry. Apart from this cosmetologists depending on the course they have specialized can be employed as hair-dresser and hair-stylist, barbers, skin care specialists, manicurists and pedicurists, shampooers etc. Advanced courses in cosmetology help you get employed as aroma therapist, cosmetician, makeup artist, massage therapist, film and theatre hair specialist as well as a career in Electrology. You can find a job almost as soon as you are out of the cosmetology school, and some schools even have placement options. If you are really good at your work, you can even get a corporate to finance your business proposition with specific product and branding support. Im interested in going to Cinema Makeup School in Los Angeles, CA. I am having difficulty finding scholarship assistance because it does not a federal grant money. If you can help me please email me. Thank you. I need a Cosmetology Grant based on need. My tuition. I want to start school September 12 2011 and I need assistance. I’m over my head with Tuition and I need this education. Not only do I need it but I want it, but not at the expense of going further into debt trying to get out it via College education. Please, help me help myself. I am planning on attending school in September but I need help with tuition. I was enrolled last year but had to stop because I was in need of a full time job to help support my single mother. Any money I can receive will help me for fill my dream of becoming a cosmetologist. Please help! Hi my name is Patrick Brown, and I’m looking to go to a Academy for cosmetology. I would like any and all information about any available grants or scholarships. Thank you for your time, and hope to hear back from you. I AM IN NEED OF FINANCIAL HELP WHILE I AM IN SCHOOL FOR ME AND MY DAUGHTER,I START OCTOBER 3, 2011. PLESE HELP US,I REALLY WANT THIS BADLY,I HAVE TO DO BETTER FOR US! Fulfilling my dreams into a reality would be a dream for me! I am trying to apply for some scholarships to attend the Beauty Academy in Glenwood Springs, CO. Out of all the crap google spits out I have only filled out one application and it like a drawing for a free scholarship so I dont even think it is real. This is frustratingly not as easy going as I first anticipated. Please someone help! I want to go to school so bad but at this rate it seems impossible. Hi, I am a senior in high school at the moment [10-03-11] and i am seeking a Cosmetology Scholarship because i am going to need financial help. My school’s that i am looking into are Milan Institute of Cosmetology in San Antonio TX and Houston Training Schools in Houston TX, But my mind is open and still looking for the best! If you can help me With any information or ways to get a scholarship please contact me by email! Hello my name is Kayla. I have a 20 month old daughter and I am a single mother. I am trying to go back to school to finish what I love to do, hair, nails,make-up, to make people feel better about themselves even if it is only for a short time. I would love to attend Rogers Academy of Hair and Design starting October 25th, 2011 but currently I do not have enough money to attend and complete the needed courses to complete this program. Please help me finish my dream. I enrolled to begin class in Jan 2012 and have to secure grants/scholarships to fund school. At 39, I have decided to pursue something fun and creative, and not just a job. Many scholarships are for recent grads, but what about the moms that are returning to school while raising their children. Financially we carry more load than a teenager, yet have less opportunities. Is there something more for us to benefit from? I am seeking some assistance with paying the tuition for Regency Beauty Institute in Greenfield, Wisconsin. I see the list of several grants and scholarships, but I do not know how I go about applying or being considered for any of them. I see other comments include details about their personal situations, so I am guessing I need to do the same, for that appears to be part of the process. Therefore, I am 36 years old, married and have 3 children. I do have a degree, but unfortunately it is in real estate, and of course that is not a promising career field in this economy. My most recent job downsized their staff, and I was part of the cut. I do not qualify for unemployment, and we are struggling to make ends meet. All of our savings went to pay for the burial of my father, who passed away unexpectedly in April. He had no life insurance, savings, or anything. I being an only child had the burden of taking on his expenses, and I am still indebted to the funeral home. To make matters worse, I cannot find a job in my field of expertise. I ultimately have decided to return to school for cosmetology because it has always interested me, and I know it is a career I would enjoy doing, as well as it is stable, for which is what my family needs. We are on food stamps and at risk of losing our home, and I do not want to see my children uprooted because I cannot provide for them as I should. I really need to find a way to make paying for my tuition possible so I can have a future for myself and my family. I only qualify for the Pell grant, which of course will not be enough, so we really need some assistance. I hope this comment and website will lead me in the right direction, or be the answer to our prayers. There are only 3 Nail Tech. schools in my area. Two of them are over 30 miles away and I have no way there. The other one is within 5 miles and the total cost is $1675.00. I NEED to start over. I have a 13 year old daughter and recently lost my job. To date I have applied for 810 positions with only 1 interview granted. I did not go to college so I have no BA Degree. However, I would think my experience would be enough!. My mother was living with me and shared in the household expense but she passed after a 7 week struggle with Lung Cancer. I have to take care of my daughter. I need to change my career to a no fail industry so we can be secure. I need $1675 to attend school. I will even opt for a sponsor so I can get my Nail Tech License. If anyone knows how, what, when or where PLEASE HELP US! sheilareed319@yahoo.com. GOD BLESS YOU!!!!!!!!! I am a student at a Private Cosmetology Institution who does not offer any Scholarship insensitive and I encourage your request in granting me some funding to support my education and endowment to promote my study here as successful as it is right now. Our class requires us to plan, develop, and execute as Stylist and to become Career Oriented and to do so, my anticipation on your organization/foundation support could be most rewarding to me in attending promotions of Hair Shows, purchasing most needed appliances (not included in Kit), obtaining hair supplies needed to demonstrate hair care for Clients we services on the Clinic Floor and to prepare me to go before the State Board with the necessary tools or equipment at passing to achieve my Masters License in Cosmetology. My seven hundred (700) hours is significant to me and reaching the required one thousand/five hundred (1500) is very hard because individual assistance is much needed. We are able to receive credits toward any participation or attendance at any function. I previously have a BS Degree in Business Ad and disable and not able to work and as you possibly know that with a degree; one is not eligible for any Hope Grants and more less, none other. By my petition for donations from this particular business for monetary gifts, a sponsor or even sample hair products in Promotional Products that you may be aware to be benefit to Cosmetology Industry. If your foundation is interested in donating to my being a candidate, I could greatly appreciate your input. All donations would be recognized as donated from your establishment at the institution, in the resident community newsletter and possibly in the local newspaper (if my ability to interest them in a human-interest story for the paper). This letter and my letter of Thank you indicating your exact donation are sufficient documentation of your donation for tax purposes. This letter and my letter of Thank you indicating your exact donation are sufficient documentation of your donation for tax purposes. This donation will be used for the sole purpose and benefit of a US citizen. My project goal is to provide a decent study to include all my research and Extra Curricular Activities when there are shows/classes to upgrade my learning experience and skills. If you have any questions you may contact the school’s Director, Rev. Brodneax at (706) 854-0010 ext 23 or Michael Beauty School(michaelsschool@bellsouth.net). If you wish to have further information on the nature of the class requirement you may contact our Instructor, Ms. Rolland at Ext. 24… Thank you in advance for your consideration and support. I have been helping Samantha look for ways to improve her life and make a career out of something she has truly been fascinated with her who whole life. She is a great student and a joy to have around. It would be exciting to see those girls who have tried everything to make their dreams come true only to succeed instead of hitting the road blocks so many young women do before hey are given the chance to make their dreams come true. Wish Samantha the best of luck. I’m hoping to start school on Jan. 3 2012. My tuition is $16,200 plus my additional cost (lab cost and supply kit) brings me to an overwhelming total of $17,706. Thats a lot of money. I got my fafsa completed and between that and the school, I’ve been granted $8,005. I was also given an unsub. loan worth $2,885 and a sub. loan worth $5,490. I know that’s a lot of money right there but that’s more loan money than I want to pay back. Even if I did use the grant and the loans, I’m still short $1,326. I know that doesn’t seem like much but it is for me and my family. I don’t have a job, my dad’s on disability, and there is no one in or around my family that can afford to help me. I’m so lost and desperate. I’ve been searching the internet for different grants but I can’t find anything. Maybe I’m just not looking in the right places. Any advise? I am currently enrolled in cosmetology school and I just got the news today that I will not receive my full pell grant. They made me go off of my fathers income and I haven’t lived with him in over a year and a half. We only have one finical aid worker in the school and she won’t help me, she is rude and all she is telling me is “we don’t do student loans”. I’m out of options and I’ve got 2700 dollars left to pay, i have 750 hours and I won a trophy at state competition and now I might have to drop out due to lack of money. Will someone please point me in the right direction?? Hi, My name is Drina, I am 46 and will be starting at Paul Mitchell the School on Jan. 14 2012. I am on SSI and need to find a Scholarship for needs basis. I am not familiar with what to do to find help getting a Scholarship and my school does not have any available. My Tuition is over 18,00.00 and I will need money for living and traveling expenses. I will be recieving a small grant with which I am very thankful for but it will only get me in the door. If you have any information or any Grants or Scholarships that I might qualify for I would appreciate the help of any kind. Thank you for caring. My Name is Krystal, I am 20 years old with my frist child on the way. Ive been trying to find grants and scholarships to help me make the best out of my life and so I can give my baby the best life I can. My mom is a single mom with no education under her belt, my father died when I was 12. I understand how important going to school is. I would love a career in beauty I even have my heart set on being an esthetician. Ive already looked at schools and have made my choice in which one I want to go to. However the money part is the hard part. I would greatly appreicate it if I could get help trying to pay my way through school. Thanks for taking the time to read! I AM 42 years, cosmetologist for 19 years in NORTH AFRICA NOW I AM LEGAL PERMANENT RESIDENT AND I LIVE IN A SANTA MONICA CA United States 90403 NOW I HAVE TO SEND MY DEGREE AND MY SCHEDULE OF CONTENTS VOLUME OF MY study to assess AL ACREVS INC. TO KNOW THE NUMBER HOURS OF COURSE NECESSARY FOR ME PRESENTED FOR REVIEW Cosmetology MA LICENCE.I have chosen A SCHOOL FOR IT NOW TO SAVE TIME UNTIL MY REVIEW I HAVE NEED YOUR HELP TO GET GRANTS TO FUND MY COURSE AS NEW RESIDENT TO United States. My name is Lakeisha i am 21 years old,i have been doing hair since i was about 12 years old. Learning from watching others, growing to love it and also becoming extremely good at it. I am currently getting into learning how to cut hair and so far i have been doing a good job, i absolutely need this opportunity! I feel that it will be something that i will give my all to and will better my living situations right now i am currently unable to pay the tuition on my own and i don’t believe that financial aid will cover everything.My tuition is a little over 20,000 dollars. It would mean more than the world to me if i could be blessed enough to receive the money that i need to for fill one of my dreams and to start a career that i can be proud of. Hi my name is Flor I will soon be 18 and ill be graduating school by may i really wish to study cosmetolgy , but i am looking for a scholarship to be able to follow my dreams. It would mean the world to me if i could follow my dreams and go to cosmetology school. thanks for taking the time to read my comment. My license has expired and I am looking to get my life back together and step into the cosmetology scene once again. Can you point me in the right direction? Hello everyone. My name is Amber. I am 28 years old, married and have 9 kids between my husband and I. I really want a change in my life that will help my whole family in the long run. My dream is to become a Nail Technician. I did not know that the only college in my area that offers the course would not allow Pell grants or student loans to be used for the Nail Tech course. I was informed that I would have to pay $100.00 for enrollment, $1000.00 down payment, and $989.00 a month payment for 3 months. I don’t see how anyone could afford that kind of payment each month. So I am wondering if anyone knows how to get a scholarship or grant for the Nail Tech course? If anyone could let me know anything. I would be very grateful for your time. Am nthabeleng khoza currently staying at vosloorus am asking for a busary to help achieve my dream of becoming beautitian. My parents are not working and its had to find a desent job when you don’t have qualification so plz help to fither my studies. I am in Serious need of a vehicle. I currently am driving a 97 chrysler town and country Lxi. Every other week my entire paycheck goes toward repairs. I need to pay for schooling and a new vehicle something dependable. Since I drive 40 miles to and from school I’d also like somethig a little cheaper on gas. If anyone can help please let me know thanks. Plz, i reside in african, i have been dreaming of working and schooling(nurse) abroad but it is expensive, i need help. I really want to go to the Regency institute in Tucson Az. for continue my dream in this fascinating career. I’m interest in this grant for cosmetology school. I just recently found out that I had to start my hours over due to the fact that I owe my last school money and they will not release my officail transcript. I was a cash paying student and still owe that institute, however I choose not to let that hinder my goals and dream. I am set to attend Empire Beauty School on June 18th. This Grant could really help pay my tuition. I am also a single mom trying to be a positive role model for my son to look up too. I just recently lost my job in April so I decided why wait for a job to come to me, this is a great opportunity for me to go back to what I love, HAIR! I wanted to be proactive in my future so I enrolled, now I’m trying to get some grants to help sail my ship a little more smoother. God Bless. I attened a school that doesn’t accept financial aid. I started when i was 19 and am now 21 and haven’t graduated due to money. In December of 2011 i missed school often due to a collapsed lung. The owner charges by hours so i am very behind but owe tuitin as well. It is my dream to have my own salon. Any amount wounld be helpful. Thank You. I’m trying to find information on how I can obtain different scholarships/grants for cosmetology school. If you have any information and can help with any assistance please do so. I really look forward to hearing from you. Thank you so much. I am currently attending Paul Mitchell the School of Nashville. I do not receive any type of income, but I need help. My mother is a single parent of five children. She only has a part time job, which she only gets three hours a day. She doesn’t receive no type of help, she does everything on her own. I am a 19 year old Africa-American who strive each, and every day. We have no vehicle, each day I don’t know how I am going to get to school, but I manage. Currently going through a downfall in my life, while trying to attend school. The last thing I want to do is take a leave from school. Every day I walk in the school building, it bring the best out of me. I am not asking for much, I will take anything that is offered to me. Thank you!!! I am indeed help of a Cosmetology Grant based on need of My tuition. I want to start school September 12012 and I need assistance. I’m over my head with Tuition and I need this education. I am having difficulty finding scholarship assistance If you can help me please email me. Thank you. I am returning to school after many years. I have been a full time parent for my two sons. Now they are ready to go off to college themselves. I can pursue my dream of esthetic skin care in beauty college. I am now a single parent struggling just like everyone else. So I need information on where to go to find as many scholarships available. Please help me find financial help to see my dream come true. Please email me with finding scholarships for beauty school. Thank You!!!! I am no longer in my 20’s and I thought at this age it was 2 late, but I’ve changed my mind. I would love 2 go 2 school 4 Cosmetology! I’m having trouble with trusting web sites, and knowing which ones are real. I need help with that and also with which school 2 choose. I live in Va and I haven’t a clue of how 2 go about all of this. Please help this old lady 2 do something that should’ve been done yrs ago in my wasted youth! Please leave a reply 2 Frankie with the 411 that I need @ . Hello my name is Cesar, I am 18 years old. For a very long time now it has been my dream to be a Cosmetologist, but i am having financial issues. I can’t receive Financial Aid which is really complicating this for me, but I remain with the Will, Determination, and Passion to go into Cosmetology for a Long Term Career. It’s my dream, please help me achieve it with information on these Cosmetology Grants. Thank You so Much, i hope to hear from you soon. I WAS JUST ACCEPTED INTO VIRGINIA COLLEGE AND I START ON THE 3RD OF OCTOBER. I WAS INTRESTED IN THE GRANT FOR COSMETOLOGY STUDENTS BECAUSE I AM CURRENTLY HAVING SOME FINACIAL ISSUES AND COSMETOLOGY SCHOOL HAS ALWAYS BEEN MY DREA. I AM A MOTHER OF 3 AND I FEEL THAT MY LIL ANGELS ARE MY BLESSING AND GOING BACK TO SCHOOL WILL HELP MAKE A BETTER LIVING FOR THE. SO IF I CAN GET A RESPONSE PLEASE AND THANK YOU. i am looking for a grant busary to study cosmetology in north west college or univesity in north west.becouse i do not have money to further my studies.plz.even to study hair dresser if possible because i have the skill. I am in search of scholarships for cosmetology school. I would like to attend Paul Mitchell in Chicago, IL. I am truly interested in this field and I have been most of my life. My ultimate goal that I plan to achieve is to become a National Makeup Artist and also a well known Makeup Artist & Hair stylist in the Fashion World. I am have start working toward my goals, however, I would like the credentials and to further educated myself. I have extraordinary talent but their is always tips, tricks and things to be learned. Any assistants would be awesome, I plan to graduate with honors. I am a single mom with 3 kids 3,6,9. I am now register for Lowell Academy Beauty school in Lowell , MA. I am in need of some financial assistance for the school fee.I will start school on November 5th,2012.I like this career too much since I was young but my parents are poor they couldn’t afford to send me to .Is there any one know where to apply for scholarship please let me know? my name is celestine am 28yrs and a single mother.it has been my dream to be a cosmetologist since i was young,i have started working towards my goals but the only problem is that i cant afford to pay my fees again since am already in one of the best cosmetology school in west africa Ghana.FC Beauty College. I am in search for schorlarship to further my school,please is there any thing you can do to help me i need financial assisstance please help me. Hi my name is Mariana R.
High school is to becomea Cosmotoly License. email me, help me get a grant before i graduate please and thank you. I AM A 23 YEAR OLD STUDENT OF THE PROFESSIONAL SALON ACADEMY IN THE VILLAGES BECAUSE I AM NOT MARRIED, 24, OR HAVE A KID, I DID NOT QUALIFY FOR ANY STUDENT AID. I REALLY WOULD LIKE HELP GETTING SOME OF MY TUITION PAID FOR SO I HAVE A HEAD START FOR WHEN I GRADUATE IN MAY OF 2013. I HAVE BEEN MODELING PART TIME TO MAKE ENDS MEET BUT COULD USE ANY ADDITIONAL HELP, ANYTHING WOULD BE GREAT!!! DAKOTASUMERTON@YAHOO.COM IF YOU HEAR OF ANY SCHOLARSHIPS ECT. PLEASE INFORM ME! MY NAME IS DANIELLE GREEN . I AM 28 YEARS OLD, 5 YEARS AGO I WAS RELEASED FROM PRISION DUE TO VERY WRONG DECISIONS I HAVE MADE! IN WAS RELEASED TO A HALF WAY HOUSE HERE IN KNOXVILLE TN 4 18 MONTHS THEN WAS HIRED ON A STAFF AND LIVED IN THE HOUSE FOR ANOTHER YEAR. I HAVE SLOWLY PUT MY LIFE BACK TOGETHER ONE PEICE AT A TIME. I HAVE 8 YEARS CLEAN AND SOBER. I HAD A BABY 20 MONTHS AGO AND SHES IS THE REASON I KEEP PUSHIN!! !DOING HAIR IS MY PASSION . IVE BEING DOING HAIR SINCE I CAN REMEMBER. ITS TIME TO FINALLY GET A LISENCE FOR IT . ITS MY DREAM BUT DO NOT HAVE THE MONEY TO PAY FOR THE SCHOOLING. BECAUSE OF MY PAST ITS VERY HARD TO GET A JOB MAKING ANY KIND OF DESENT MONEY.. MY DAUGHTER DESERVES SOMETHIN BETTER THAN ME TO STRUGGLE ALL HER LIFE!!! I JUST PASSED MY GED!! YEAAAHHHH!! SO IF THERE IS ANY ONE OUT THERE WHO CAN HELP ME PLEASE DO. My name is Charmion Wilson. I am trying to attend Cosmetology School. I need a Cosmetology grant based on need. I have a health situation that calls for a lot of money to keep me healthy, and I honostly can’t afford to pay for school on my own. I really would appreciate any help you can offer me towards my educational goal. Please e-mail me all the information you can. Thank you in advance for all of your help. Hello my name is Charlene Smith, I a single mother of two wonderful kids. Back in 2009 I fell on hard tines and did some things I am not proud of which resulted in jail time. Since thevowed not to get in anymore trouble and to better my life so that I can be that positiverolmodel and figure in my kids lives. With your assistance I will be able to make my future what U want it to be. Blocking out my past and working on my new life from this day forward. I just paid my enrollment fee so I will be starting school in March or April I just need assistance with tuition. Please find it in your heart to help ne achieve greatness and stability in life. Hi I am really looking forward to going to cosmetology school but really need finacial help. I have been looking for ways to get scholar ships because I live at home and cant get federal help because they go off your parents finances. My parents are letting me live at home for free but cannot pay for my school, so I need help. If I could get a grant or scholar ship that would really help me achive my goals. I am a single mom and want to have a future for myself and my children. I want to be somewhere where I feel like I belong, hair and skin care has been a life long passion for me, I use to practice on my babrbies hair when I was a little girl. I am unemployed at this time and I cant provide a good home for my children always stressing about finding a dead end job. I want to be something and prove to myself and children I can fulfill my dream and do what I want to do with my life. Please help me, I think it’s important for young children to watch their parents follow their dreams and hearts. Hi my name is Jessica I’m looking at going back to school for cosmetology but the school I’m looking at is $5000 and my husband is the only one that works so really can’t come up with that kinda money. We have to kids and cosmetology would be good for me bc I could make up my own hrs and still be home with my kids and still be able to bring in money at the sometime. Im a mom of two at the age of 22. Im from CT and with these fincial hardships theres no way i can afford the school i want to go to. I cant even find a job to help pay for it. its been so difficult. I wanna make a good future for myself and my babies but without the help theres no way i can do this. Iv always dreamed of doing cosmetology. My aunts a hairdresser and offered to do a girls hair for her formal and at the age of 16 i created the hairstyle she wanted and picked mine over my aunts. Ever since then and even before i had my mind set to this. I own a small School of Cosmetology that is in need of grant assistance. We would love to hear from anyone who can help either our school to grow or help our students in finance assistance. We specialize in one on one training and small class sizes but we are always in need of more students. Please help in any way you can, even if its information on where to go or what to look for. Hi! I have an outdated bachelors degree in computer science but I can’t find any enjoyable work in the field. I do however, really enjoy making women feel beautiful. It is this fact that makes me come to the conclusion that I want to go to a cosmetology school. I have one picked out near where I live in Florida but I cannot afford the tuition. Unfortunately the school does not have any grants or scholarships available. I am currently unemployed and I feel that this career change would help my financial situation greatly. I would love to one day own my own ‘low cost’ nail salon for financially challenged women. This way I would also be helping the lower class women of my area. Half the battle of being a good person is feeling beautiful. I can help with that if I get this education. Is there any help for me? I am a mommy of one looking for a grant or scholarship for most of my schooling. I want to be a nail tech. job that doesnt care about your well being, pays you very little and demands all of your tim. I truly am trying to become more success in life and would love doing so even more if I became more successful while doing something that I love. Expressing my creativity,and making others feel great about themselves. Knowing that I put a smile on someone’s face. But with tuition costing me 17,900 dollars a part of my goal is becoming more difficult than I thought. I also plan on going back to college once I complete getting my license in cosmetology. Another great aspect of that field… I will have flexible hours to achieve more! Please help me it truly will be very appreciated. Any help for that matter. Class starts September 9, and its gonna cost over $12,000 any help I could get would be great. I’m single, and I’m helping my mother raise my 2 year old nephew. Like I said before anything I could get help with would help. classes to set me apart from the competition. Are there grants or is there assistance other than bank loans that will help get my career started? Thank you. My name is Brionna Hollie. I am interested in following a career in cosmetology but I am restrained by financial circumstances. My dream is to become a professional hair stylist owning my own Beauty Salon by the year of 2015. The school I am in the process of enrolling into is Regency Beauty Institute. The cost to attend this school is $18,600. These grants may not cover all of the tuition and fees but any amount will help. Thank you for your consideration hopefully I will be able to hinder my goals and dreams. My name is Brionna Hollie. I am interested in following a career in cosmetology but I am restrained by financial circumstances. My dream is to become a professional hair stylist owning my own Beauty Salon by the year of 2015. The school I am in the process of enrolling into is Regency Beauty Institute. The cost to attend this school is $18,600. These grants may not cover all of the tuition and fees but any amount will help. Thank you for your consideration hopefully I will be able to hinder my goals and dreams..
Hello, my name is Stacey and I am currently attending Manhattan Hairstyling academy and my tuition is more than my loan and grant put together that I have been awarded, but they take all of it and you do not see a dime of it and I really need some help with the cost of living expenses and supplies for school and shears and a case for my kit and do not have a job or anyone that can cover the costs for me or anything, and my mother is disabled and my grandmother is taking on my grandfather and his Alzheimer’s disease and do not speak to my father so if there is anyone or any grant that I am eligible for please let me know thank you so much. Hi my name is Tina I am a 42 year old mom of 2 I have a daughter in college and a daughter in high school I recently have lost my job after 15 years of never being on any type of discipline or anything just gone. I have always had the passion of doing hair and making people look there best . I recently inquired about a Paul Mitchell school and want proceed with attending but after looking the tuition took me for a loop. But I definitely think and hoping I can received any information on how I can get funding and grants.The class starts October 28 and hoping someone can send information on how I can grants to further my passion.Please help……..Passion for beauty. My name is holli watchen and im seeking help trying to find grants to start cosmetology school. Ive always have dreamed of going to cosmetology. I have appied for blades. I filled out a fasfa, but i need more grants. Im looking for granted. Only because i cant afford to pay back a loan, im struggling so bad right now, i have no car, i have two wonderful children that i am raising on my owm, i live at my own spot i dot have a job im living off tca, and feed me and my children by foodstampsI want to further my education and persue in hair and nails and make up. I want to one day open my own shop. I want to beable to provide what is best for me and my children, as well as not live off the State. Ifbu can help me please contact me i would gladly appreciate it. I am a middle aged woman and I am a survivor of domestic violence. To become a licensed cosmetologist has been a life time dream. I have done hair for years but I want to be licensed. I do not work at this time and no income. I dont know what scholarship or who to go to for help to go to coamwtology school. I need help. Hi, My name is Courtney I am currently homeless at the moment and living in a shelter. I have been struggling for the whole year of 2013 after loosing my own place to live. I now work part time after cutting my hours at work, because I was looking forward to starting school part time and then my boss didn’t support my goal to pursue a career in Cosmetology. I love my job working at the Nursing home but I this passion to change up my own hair styles quite a lot. I’ve been braiding my own hair for over two years now but I also do everything else on my own with the limited supplies I have. I feel this what I am meant to do with my life to help others feel good about themselves as it does for me. Please let me know how I can get help with grants to pursue my goal and make a dream come true: ceebaby6@gmail.com Thank you for your time! Hi, my name is Vanessa and I would like go please know what I need to do to get help paying for makeup artist school. Hello! Im very interested in doing cosmetology, but alot of schools do not take the FASFA grant and I got approved for that but alot of the schools that take it are a long drive away! How can I go about getting a grant that the school will take that is closer to home? Would much appreciate some advice or help! Hi my name is toni and i am currently attending a technical high school and am almost a lisenced cosmetologist,but i would like to further my education and become a profesional make up artist by going to a really good colledge but i dont have the money can you please help me. I would like to study cosmetology but due to the financial state I am in now, I cant afford to pay any university/college,i would like to seek assistance from you. My names eboney and I’m in great need of any money for school. I don’t get to revive anymoney beacuse my parents income is to much. When in fact I have 2 brothers and another family we are suporting, but beacuse when can’t include any of this I’m just left in the dust. My parents work hard and unforantly beacuse of so I can not get any fasa, ect. I’m looking for a job and hoping that I don’t have to take loans out but for my schooling I must be paying out of pocket for all. I would like to go to Aveta and start a business and make people feel amazing with my job I hope to gane in the future. Any little bit helps thank you. Hello, My names Kelsey and I’m 18 and a 2014 graduate. I am trying to begin a career in cosmetology. Ever since i was a young girl i loved it.I am in need of desperate financial help due to a house fire during my senior year, in which my family and I lost everything. My start date is set to be June 1 2015. I have applied to many and i would e grateful for any help and suggestion you would have. My name is Chelsie Fletcher & I just enrolled to pursue a higher eduction in the Empire Beauty School’s Cosmetology Program! I am currently seeking any financial assistance &/or any leads to help make this dream a reality. As for a little bit about myself, I graduated from Lahainaluna High School back in 08 with the National Honors Society. So I’m goal driven & will always shoot for the best that I can give. However after I graduated I chose to go down a different path. I thought I was in love & ran off with my high school sweetheart. It turned out to be a big mistake, he ended up taking me away from my friends, family & all that I had. In the long run I’ve experienced a lot of ups & downs in my short life span. I now consider all that I’ve been though as just another learning experience. Which growing up tends to have a lot of those & through our mistakes we find the light at the end of the tunnel. Along the way, I’ve discovered I enjoy blogging & would love to own my own website one day to continue that passion. Plus with an education in cosmetology it will help me with my niche. I can work my way up to how to tutorials & make an income through selling products, advertisements & sponsorships. Or even save up to bring out the entrepreneur in me by opening my own beauty spa! I have a long list of goals ahead of me & by starting now I will only get closer to making my dreams come true! Hello, first off, my number one problem in life is asking for help, I just don’t do it, but in this case I need direction. I really want to go to a good Cosmo school. I want to learn everything I can and more, than open my own salon. Yes, I dream big. But my financials right now aren’t the best due to some past mistakes. I would love to have some direction on how I can afford to go to a Cosmo program. Please help me with some information. Thank you I greatly appreciate it. I need financial assistance in order to a career in cosmetology. The cost is about $23,000 which I currently do not possess. I am a single parent of two teenagers and I need to create a comfortable cash flow of revenue to be able to afford college tuition for the both. I have been working in the casino field for several years which helped me keep my head above sea level. However, working in the casino has brought on some health issues due to it being a smoking environment. Therefore, I’d appreciate any help re:resources I can get. If there’s any suggestions or recommendations feel free to forward the info to me. Thank you in advance and God bless!